Home plumbing is perhaps something we all take for granted. Interior plumbing systems and home drainage systems are, at the same time, both simple and complex. They can also be somewhat costly if proper preventive care and other measures aren’t undertaken ahead of time. Whether you need help detecting water leaks, a more extensive water line repair, or help to understand domestic water problems which may arise from time to time, it pays to know more than a little about home plumbing basics. In this article, we will take a closer look at how home plumbing really works. We have already discussed plumbing in general previously – but this time around, we will be focusing a little more sharply upon the residential setup. As mentioned, many of us perhaps don’t know quite how good we have it! Indoor plumbing is amazingly intricate. What’s more, it can be easy to troubleshoot and remedy problems if you know what to look for. If you are looking for a plumber in Los Angeles or elsewhere, it may be worth getting to know a few of the basics before you pay for a call-out. Water needs to be delivered to a variety of different sources in your home. Consider all the faucets, sinks, toilets, tubs and showers you may have. Without a working water supply system, there’s no way that any of these facilities would be able to work independently of one another. Fresh water is delivered into homes through a water supply system. This is typically transported via a well and filter through internal pipework. Your water supply system will distribute fresh water from local or municipal sources. Systems which use fresh water can include water heaters, washing machines, and dishwashers – as well as your everyday faucets, showers, and bathtubs. This is where things can get a little complicated. The piping and fittings for interior water delivery are networked in such a way that they can deliver water on demand and in an inconspicuous manner. There are also tools such as the intake valve which can be switched off should you need to troubleshoot any leaks. That effectively prevents any more water from being delivered via your pipes. Water supply systems are also used to flush toilets, too – meaning that your interior pipework is essential for comfortable, everyday residential living. It’s for this reason alone that you should always consider keeping your pipes and supply well-maintained. Of course, with give, there is take. You want waste water to be removed cleanly and safely from your home whenever required. For this reason, there is a similarly intricate process for waste removal mostly available for residential properties. Many domestic water problems may arise as a result of poor drainage. All the more reason, therefore, to be a little more conscientious about how your waste removal works. Waste removal systems do the dirty work. From sinks, bathtubs, and toilets to dishwashers and washing machines, a home waste drainage system is one which is essential for day-to-day living. Home drainage systems revolve around either the public sewers or an on-site septic tank. Septic tank systems fall under your jurisdiction and will need to be emptied regularly as a result of public health standards. Sewer systems, however, are more commonplace. Waste drainage piping is hidden away within residential walls on the whole. This essential system also works hard to vent gases from sewage and waste. Drainage facilities will also come fitted with traps and bends, where water can reside to help keep waste removal safe for regular use. Drainage and waste removal systems are dependent upon sewer lines. As such, a thorough home drainage system inspection may be required from time to time to ensure that everything is draining as it should. If you are in need of sewer line repair Los Angeles and beyond, it will be worth you considering the basics of your home drainage system in the first instance. What Are the Most Common Home Plumbing Problems? Before you consider appealing to any plumbers in Los Angeles or elsewhere, it is worth taking some simple advice on the basics. Many plumbing and drainage problems within the home can be easily remedied without much cost or effort. While we are experts in sewer line repair Los Angeles homes rely upon, we understand how important it is to also keep your interior plumbing up to scratch. Leaks, of course, are fairly common. They are also incredibly annoying at the best of times! A common leak in the home may include a dripping faucet, a faulty shower or a straight-up break in the pipework. One way to tell if you have a leak without noticing it with the naked eye is to look at your water meter and reported usage. If your reported usage is considerably higher than what you may be used to, a leak may be to blame. You may also spot leaks easily through damp patches, strange or persistent noises, the appearance of mold, or a general loss of water pressure. All these factors can and will come into play. 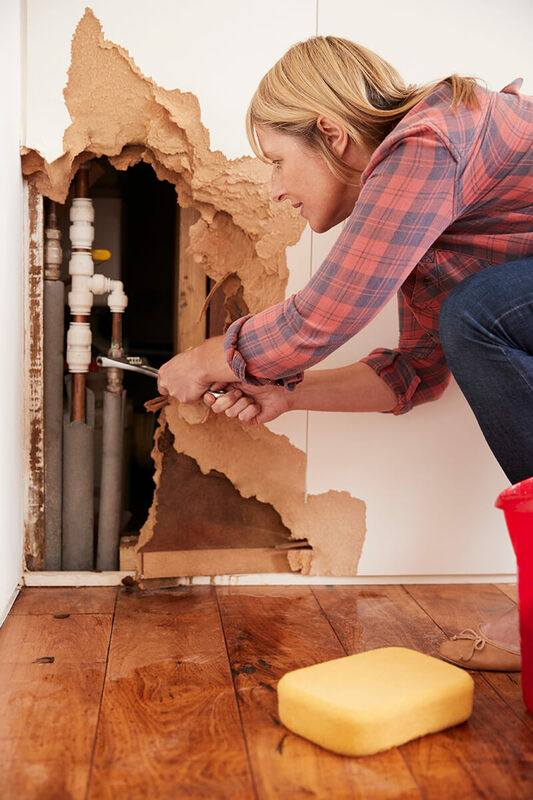 Some leaks can be fixed by simple patching or sealing, while more problematic springs will likely require the support of a plumber or professional. It’s important to remember that water pressure levels can change throughout the day. Changes in water pressure can cause problems with certain fixtures, fittings, and faucets if they are frequent or particularly intensive. Your water pressure should generally be measured at around 10 meters per head, meaning that the water in your system can be forced upwards to this height. You may be able to make changes to your interior pipework to improve water pressure. However, once again, it is always worth seeking the opinion and support of a residential plumber. Troublesome clogs and blockages can affect a wide number of drainage and inlet systems. From backed-up sinks to blocked toilets, these are perhaps the most common problems you’ll come across in the home. They can also be a real annoyance at the most inconvenient of moments. Depending upon the cause of a blockage, you may be able to treat the problem area with a home remedy. Bicarbonate of soda usually works well with sink unblocking, though there are of course a number of store solutions available. Toilet blockages are a little different. In most cases, a simple obstruction in the u-bend or trap can be remedied with the use of a plunger. Again, you can also make use of store products to burn through material which isn’t breaking down. Further down the line, however, outdated or ineffective sewer line factors may be to blame. As experts in the sewer line and waste disposal, we will be able to take a look at a variety of sewage-related problems you may be experiencing. Whether it means upgrading your home from an old cesspit to a modern system or otherwise, we have the tools and expertise to help. Pipes will generally make noise from time to time. However, if excessive banging or commotion occurs, it is important to look at a few of your residential fittings. Many noisy pipes can be remedied by changing or tightening washers in the stop tap, or by re-tightening the stop tap altogether. Another common cause of pipe noise is the fact that they may rattle against walls if improperly clipped up. You should also consider looking into changing your ball valve(s) if noise continues to persist. Water heating is a different matter entirely. If you’re noticing that your water heaters and/or radiators aren’t working to full capacity, you may need to bleed standalone units to release air and water. When it comes to your principal, central water heater, problems may revolve around the thermostat, the pilot light and/or sediment in the main tank. Once again, a trained professional can help you with all of these concerns. 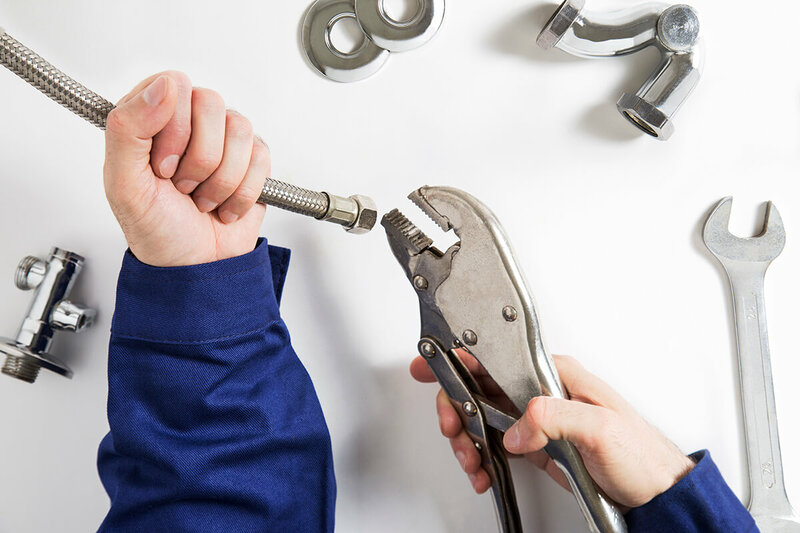 While it is often simple to remedy and repair many plumbing problems in the home, it is important to remember to take care while undertaking any work on your own, especially when it comes to hot water. Working alone with your interior plumbing may cause injury or worse. If you are unsure about the work which needs to be undertaken, always consult a professional. Whether you are experiencing a plumbing services emergency or otherwise, it makes sense to have the right number to hand. If you are in need of drain cleaning services in Los Angeles , or if you are concerned about your sewer line, New Flow Plumbing can help. Call our team directly on (818) 538-4958 for help with all issues relating to residential drainage and sewerage. While many home plumbing problems can be attended to safely on your own basis, sewers are a different matter. Let an expert help you whenever you need the support.